Must buy Deadpool! Actually I think I will buy all of them including the variants. Man! These look AWESOME!!! I'm going to be broke by the end of this year with getting Marvel stuff and Transformers stuff. I wish I won the lottery. Also, anyone noticed Thor tipped over? My Thor at my work tends to do that because I think he is top heavy. Anyways, I used some strong adhesive tape to keep him upright so he doesn't tip over. It seems to work for right now. Deadpool's a given, and maybe even the variant if I can find it. Hulk looks really good too, so I might get that set and put him with my MU figures. More crappy ML figures. Do. Not. Want. Trying to make these more like crappy Toybiz figures is not a way to get new sales. Skipping the dirty joke, I'm getting that. The reason being that the Hulk shown was actually delayed....it was sculpted 1st but then canceled/delayed, then Hasbro used the same sculpt and sculpted a new head to make Red Hulk. Hulk was supposed to be in another Hulk Legends wave(or whatever that series was called). Hopefully I'll be able to get these guys by the time they're released. I need that Deadpool. Hell I need both Deadpools. I hope I will actually be able to find them. Me too. I really think that it might not be that hard. The last 2-Packs released have been consistently stocked since they were released. Here's hoping that the distribution on these new ones are just as good. Man, that Deadpool is really dissapointing, I liked the old prototype's head and webgear better. Silver webgear just looks bad on DP, excluding that awesome X-Force costume. 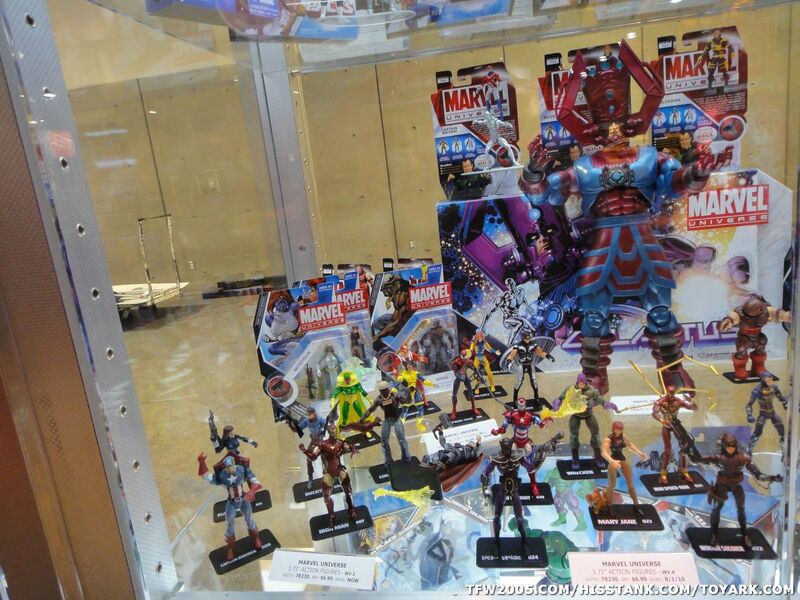 I think I'll be picking up the Marvel Select instead, or marvel universe DP if they decide on making that. Till then I think I'll hold on to my toybiz legends Deadpool. I just hope they come with knives this time. Last edited by yourfacehere; 08-03-2010 at 04:33 PM..